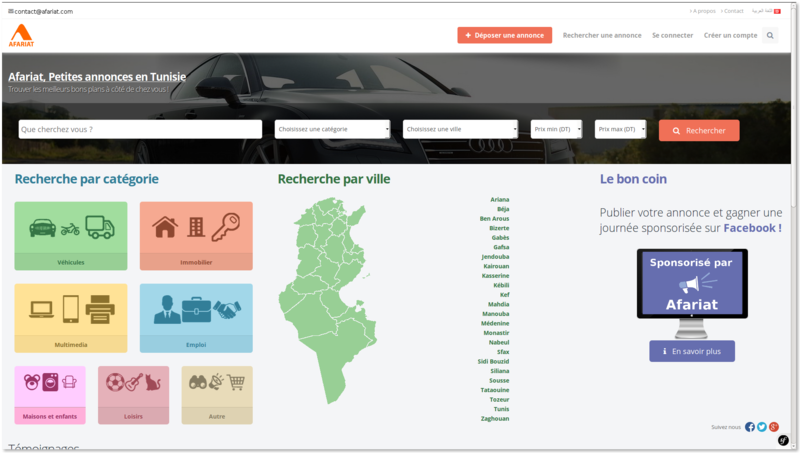 Afariat Tayara is a Tunisian generalist website dedicated to classified ads in Tunisia. The site was designed to facilitate the sale and purchase in Tunisia. Its design makes it possible to have an optimal consultation comfort whatever the platform (Computer, Smartphone, Tablet, ...).